54-Marine-1 has taken up residency on the Little River at the new boat dock and ramp. On March 14th Stations 54 and 53 where requested to assist at the scene of a hazardous materials incident at the Tesla Insdustries. 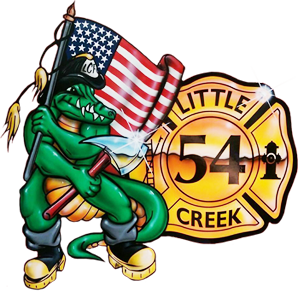 Be A Hero and become a volunteer firefighter with the Little Creek Fire Company. 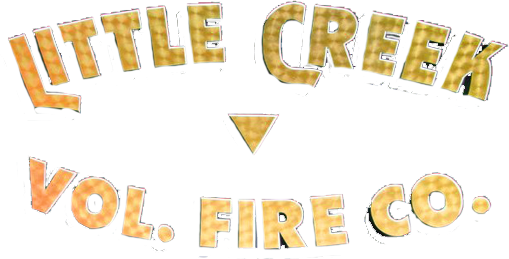 The Little Creek Fire Volunteer Fire Co was established to provide fire protection and basic life support response to the town of Little Creek and the surrounding areas of Pickering Beach, Kitts Hummock and eastern outskirts of the City of Dover, as well as marine response to the Delaware Bay, river and inland waterways for the commercial shell fisherman, recreational hunters and the boating enthusiast. We provide 24 hour response to the community. Our members participate in weekly training, to provide the community with quick response, the latest training, and care and compassion. The Line officers provide the members with the instruction and guidance while on scene at emergencies to quickly provide basic lifesaving skills, protecting and preserving property from threat of fire, natural and man-made disasters. The Company strives to provide assistance to other agencies in a high caliber manner for quick self-sustained hazardous materials decontamination response to the State Police. The Company provides essential manpower to community events, like Nascar race weekends, annual Firefly music festivals, monster mash marathons, and weekly standby for the Fairlane Acres Go-kart races. The members of the company explemifies the motto of service before self and service to the community.